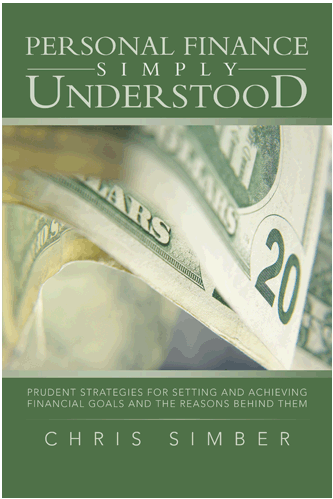 Survivorship planning is an often overlooked area of personal finance. when it is considered, it’s usually limited to large obligations like a mortgage. But there are many smaller items that could add up to a large financial burden for our survivor. We should start by analyzing the ability of our dependents to continue financially without us beginning tomorrow. Really, tomorrow. This analysis will include much more than the balance on our mortgage. To accomplish survivorship planning thoroughly and accurately, we need to consider all current and future expenses and obligations as though we wouldn’t be here (and our income wouldn’t be here either). There will either be a mortgage payment or rental costs for housing, costs for everyday living expenses, current debts and liabilities, any planned future expenses (like a child’s college fund), and then we need to account for our survivor’s expenses in their retirement years. When we calculate the total amount needed for all of these expenses, we compare this total to our current savings and investments and life insurance. This provides a thorough determination of the financial situation that we might leave behind. Since the information is continually changing as we pay debts and eliminate obligations, this analysis should be performed annually or whenever a major financial change occurs. When we evaluate expenses, we also need to consider how expenses will change in the future as a result of inflation. We can use current expenses as a starting point and apply inflation for the number of years that our survivor will need to pay them. From that point we can determine a total amount of expenses that our survivor can expect to pay through life expectancy, adjusted for inflation. In addition to total expenses, we need to consider our current debt situation (liabilities), which would need to be paid by our survivor. Then, we need to consider the changes that will occur when our survivor reaches retirement age. Since these changes will be significant, our survivorship calculations will be divided into two sections: the time before and the time after our survivor’s retirement date. There are several important reasons why this is done. First, total preretirement expenses will change every month as expenses are paid and move into the past. We no longer need to prepare for them once they’re paid and behind us. For instance, when we perform the analysis today, it will include next month’s mortgage payment. If we perform another analysis a month from now, this payment would no longer be included, since it was paid. In addition, preretirement debt may increase or decrease. Whenever we reevaluate survivorship, these amounts will need to be updated so that current amounts are used in the calculations. Second, preretirement expenses are used to calculate postretirement amounts, so segregating them into two calculations is necessary. Finally, there will be changes to both income and expenses for our survivor beginning on their retirement date. These changes will need to be included only from that point forward. The result is the amount for the time period beginning tomorrow and ending at life expectancy for the survivor (adjusting for any postretirement income). This is often a very large number. The total future expense amount is then compared with our current savings and investments, and life insurance policies to determine the financial position our survivor would be in after our departure. In summary, we perform survivorship planning to ensure that our survivor could continue financially from that moment through life expectancy, in the event of our death. We evaluate the complete financial lifetime for our survivor, including all future expenses, current debts and financial obligations, savings and investments, retirement income, life insurance, and the effects of inflation. Since many of the values change over time, survivorship plans should be updated annually or whenever a financial change occurs. The goal is to provide lifelong financial protection for our loved ones, in case we’re not around.